If you work in front of a computer, you're sometimes lucky enough to come across repetitive and dispairing tasks that require you to move your mouse across the screen time after time, following the same moves non-stop. 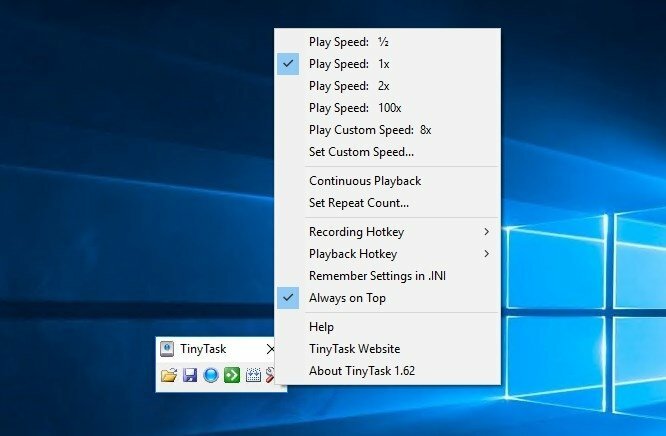 If you've ever wondered if there's a way to automate these tasks on Windows computers, you should know that there is and that's thanks to tiny tools of the likes of the one we're talking about today. 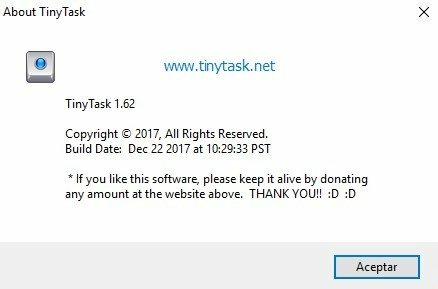 TinyTask is a small program capable of capturing the actions we carry out in front of our computer to create a macro. From its tiny and simple interface, the user can easily record all the movements carried out with his mouse and keyboard. Scheduling tasks on a PC had never been so easy. This can be useful for several things such as opening and closing programs, opening windows, switching between tabs in a browser, writing on a notepad or using some kind of hotkey combination. After recording the sequence of mouse movements or keying, you'll only have to check whether it's right and that it works, and export the file to an EXE that the user can run whenever necessary. Finally, the last feature of the program allows us to save all the different actions required by the user in a directory to be able to access them easily and implement all the movements necessary for each task. Sounds easy, doesn't it?